Simple chicken quesadillas with onions and bell peppers and lots of melty cheese. What are your favorite quesadilla fillings? 8 corn tortillas I used fajita sized. cheese, shredded I used cheddar, pepper jack, and mozzarella. Place one tortilla on a heated skillet or pan and top with cheese. Once cheese melts, add other fillings. 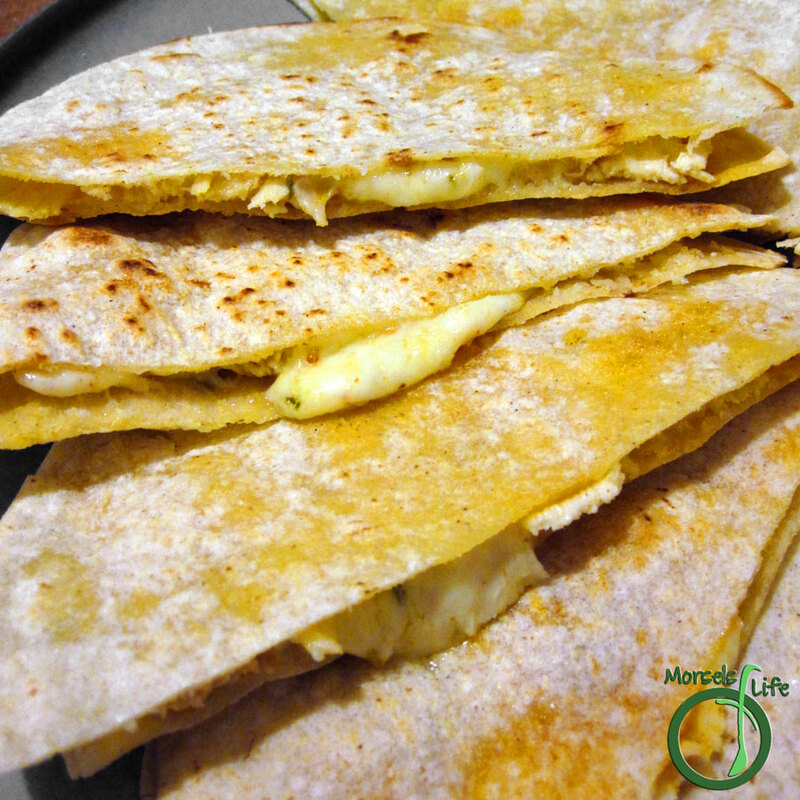 Top with more cheese and another tortilla. Flip entire quesadilla over and melt all cheese. Cut into segments and serve (with guacamole/salsa/sour cream, if desired).